International Seafarers’ Welfare and Assistance Network (ISWAN). award on behalf of Antwerp Port Authority at the International Labour Organisation (ILO) in Geneva. recognition of the efforts made on a daily basis by the Antwerp port community on behalf of the many seafarers. port of and for people. presentation. skin colour, language or religious conviction. In fact there have been seamen’s missions in Antwerp from as early as 1870. computers, wifi and sports facilities so that they can relax and keep in touch while they are away from home. Hotel opened with budget-friendly accommodation for seafarers. welfare of seafarers. The port of Antwerp is particularly pleased with this second Welfare Award. international logistics chains that bind our city and port to the rest of the world. Governments, maritime employer representatives coordinated by the International Shipping Federation (ISF) and their counterparts from the International Transport Workers’ Federation (ITF) met this week at the International Labor Organization in Geneva for the first meeting of the Special Tripartite Committee (STC) established under the Maritime Labor Convention, 2006 (MLC, 2006). During the meeting, an agreement was reached for amendments to the Convention to ensure the provision of financial security systems to assist seafarers in the event of their abandonment and for compensation for seafarers’ contractual claims for death and personal injury. ITF representatives met with maritime employer representatives from the International Shipping Federation (ISF) at the ILO recently for discussions. The sub-committee on wages of seafarers of the joint maritime commission agreed to increase the ILO monthly minimum wage from USD585 to USD592 from 1 January 2015. On 1 January 2016, this will increase to USD614. Henrik Berlau, national secretary of Denmark’s Fagligt Faelles Forbund (3F), was one of the ITF representatives in attendance. He spoke on behalf of the ITF seafarers’ group during the two-day meeting. Shipowner groups, unions and welfare organizations are pulling together in response to the devastating effects of Typhoon Yolanda in the Philippines. One of the main concerns is for Filipino seafarers, who represent more than 20% of the world's seafarers, to be able to contact their families and loved ones back home. Already, the Mission to Seafarers and Sailors Society are providing free phone cards, sims and wifi to Filipino seafarers who visit their centers all over the world. The Seafarers' Emergency Fund, administered by ISWAN, is providing funds for seafarer centers around the world to facilitate free phone calls and wifi for Filipino seafarers to call back home. New Brochure highlights importance of FAL Convention, as IMO Facilitation Committee meets in London. A copy of the new ICS, ISF and CMI Campaign Brochure is attached, and contains additional information about the international Conventions to which this PR refers. The Comité Maritime International (CMI) – the international association for maritime lawyers – has joined forces with the International Chamber of Shipping (ICS) and the International Shipping Federation (ISF) - which represent the operators of over 80% of the world merchant fleet - to promote those key international maritime Conventions which they believe are vital for governments to ratify and implement as soon as possible. Seagull released revised versions of the four International Shipping Federation (ISF) Training Record Books. Seagull and the ISF signed a landmark agreement last November allowing Seagull to utilise electronic versions of the training record books in conjunction with its Competence Manager software. The revised training record books take full account of new competence requirements of the STCW 2010 Manila amendments, which came into force on January 1 2012, requiring shipping operators to maintain documentary evidence of structured onboard training for trainees seeking certification as Able Seafarer Deck (formerly Able Seaman) and Able Seafarer Engine (formerly Motorman) in addition to trainees seeking to qualify as ship’s officers (Cadets). The International Shipping Federation (ISF) calls on port states to facilitate the right of seafarers to shore leave. ISF has made this proposal in a submission to the International Maritime Organization (IMO) Facilitation Committee, which next meets in April to consider its current review of the IMO Convention on the Facilitation of International Maritime Traffic (FAL). The FAL Convention includes a blanket prohibition on port states requiring seafarers to obtain visas in order to enjoy shore leave. The UK Club is providing a package of the International Shipping Federation’s (ISF) guide publication “Guidelines on the Application of the ILO Maritime Labour Conventions (2nd edition)” and the Lloyds Register/UK Club “ILO MLC pocket checklist” free to all its members. 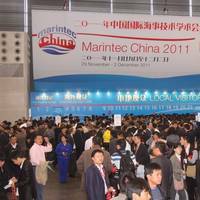 Both publications focus on helping employers ensure compliance with the ILO Maritime Labour Convention (MLC), which enters into force in six months’ time on 13 August. UK Club Loss Prevention Director, Karl Lumbers, explained: “The MLC represents a significant change to the regulation of employment terms and working conditions for seafarers. It consolidates and updates more than 65 international labour standards adopted over the last 80 years. The International Shipping Federation (ISF) has updated its widely-used On Board Training Record Book for Engine Cadets to meet the latest requirements governing seafarers’ training emanating from the STCW 2010 Manila Amendments. “The competence of engine officers is critical to safety and environmental protection. 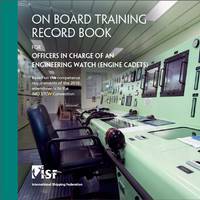 The updated ISF Book enables cadets and their companies to monitor and evaluate their on board training in a structured manner in accordance with the new STCW Convention requirements.” ISF Director Employment Affairs, Natalie Shaw, explained. 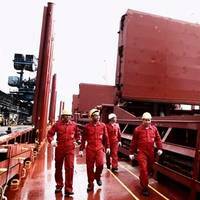 The ITF (International Transport Workers’ Federation) gives guarded thumbs-up to preparations for implementation of Maritime Labour Convention (MLC). 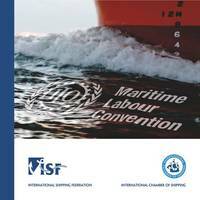 As Malta becomes the 34th ILO member state to ratify the Maritime Labour Convention (MLC) 2006, the ITF (International Transport Workers’ Federation) gave its cautious approval to the progress made across the shipping world to prepare for the convention’s all important coming into force August 2013. The ITF is actively monitoring efforts to prepare for the MLC’s entry into operation – including its own. It believes that the legislation, the first worldwide bill of rights for seafarers, can make a positive difference to everyone serving at sea, irrespective of their nationality and the flag the ship they are on is flying. IMO and shipping industry bodies urge continued application of anti-piracy measures despite decrease in pirate attacks. The International Maritime Organization, the International Chamber of Shipping (ICS), BIMCO, the Oil Companies International Marine Forum (OCIMF), the International Association of Independent Tanker Owners (INTERTANKO), the International Association of Dry Cargo Shipowners (INTERCARGO), the International Parcel Tankers Association (IPTA), and the International Shipping Federation (ISF), welcome the recent decrease in the number of attempted and successful attacks against ships by Somalia-based pirates operating in the Gulf of Aden and the western Indian Ocean. 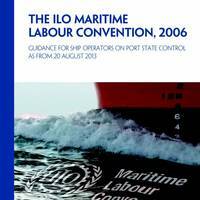 In order to help employers ensure compliance with the ILO Maritime Labour Convention (MLC), which will enter into force in August 2013, the International Shipping Federation (ISF) has published new and comprehensive Guidelines on the Application of the ILO MLC. The new ISF Guide takes ship operators through their obligations under the ILO Convention and provides guidance to help them apply the ILO standards on board their ships in a practical manner. This includes MLC requirements relating to seafarers’ contractual arrangements, oversight of manning agencies, work and rest hours, health and safety, crew accommodation, catering standards and new requirements concerning on board complaints procedures. “Safety and environmental protection is our greatest priority and OCIMF members see fatigue as a significant contributory factor to many incidents that occur within the shipping industry” explained OCIMF Director, Captain David Cotterell. 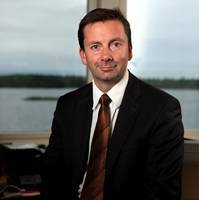 “These recommendations set out our minimum expectations, which we hope that shipping companies will take into account to achieve compliance with IMO and ILO rules, prevent fatigue and reduce fatigue related incidents,” David Cotterell added. The Recommendations have been developed in cooperation with the International Chamber of Shipping (ICS) and the International Shipping Federation (ISF), who represent maritime employers during the negotiations at IMO and ILO on seafarers’ work and rest hours. The ECDIS Group's core message: Shipping companies should establish ECDIS-use guidance within their Safety Management Systems. The ECDIS Training Group is an industry body made up of leading international shipping organisations and co-ordinated by The Nautical Institute (NI). NI CEO Philip Wake MSc FNI described the document as ‘an invaluable point of reference for those keen to establish and follow best practice in relation to ECDIS’. ‘As our industry moves away from depending solely on paper charts, this guidance provides important clarification in terms of the competencies required for what has become a vitally important navigational and decision support tool,’ he explained. The International Shipping Federation (ISF) concerned at low implementation levels of ILO Convention 185. Speaking in Manila, at a seminar organised by the International Federation of Shipmasters' Associations (IFSMA), ISF Director of Employment Affairs, Natalie Shaw, explained that the ILO Seafarers’ Identity Documents Convention (ILO 185) - which ISF helped to negotiate on behalf of employers in 2003 - was adopted as part of a package of measures following the terrorist attacks in 2001. 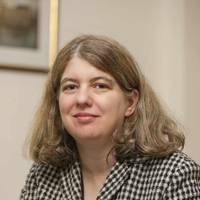 “The wide ratification of the Convention would have materially assisted the welfare of seafarers as well as addressing the security concerns of port states.” said Mrs Shaw.